Easy 30 minute recipes for weekday cooking - Blog - Talkin’ Lobster Tales! During the day, the line can reach up to 40 people and take about an hour to finally reach the window to place your order. Talk about seeing the pot of gold after a traffic-congested, eight-hour drive up from NY! We could not believe our luck since, you see, one of the biggest reasons that I come to Maine each summer is to eat lobster rolls. And Red’s Eats stuffs huge pieces – at least one whole lobster per roll – hence, the pricey sticker tag. But you get what you pay for and no disappointment here…only extreme joy. Woke up to a gorgeous day…super sunny with a bit of wind. Just perfect for a no-buggy day. Big decision of the day is what lobster shack to go to. 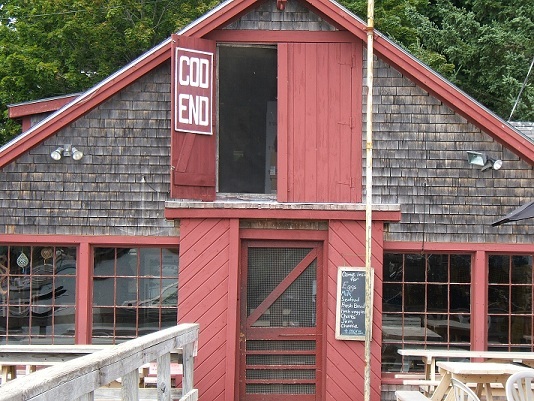 Our pick was Cod End in Tenants Harbor, Maine, hands down one of the best! It is owned by the Miller family whose relations also own another great lobster shack aptly named Miller’s Lobster. At Cod End, the lobster meat is more chopped up and tossed in some mayo whereas Red’s Eats serves lobster rolls with big pieces of lobster and drawn butter on the side. I prefer the latter. Here are two takes on lobster rolls. Really, it’s not summer until you have indulged in one. Trust me! Serve with boiled corn on the cob and new potatoes tossed in sea salt. Spread butter on outside sides of rolls; heat a small skillet over moderate heat and toast buns, buttered sides down, turning, until golden brown. Remove buns from pan and fill with lobster. Serve with mayonnaise on the side to spread on lobster and with lemon wedges to squeeze over the top. Remove buns from pan and spread insides with mayonnaise; fill with lobster. Serve with lime wedges to squeeze over the top.